Jay has made the decision to stop teaching at this time. Please click here to get the latest information and our recommendation for the best luthier to reach out to. It is hard to believe, but it is true. In just ten days you can build the ukulele of your dreams! 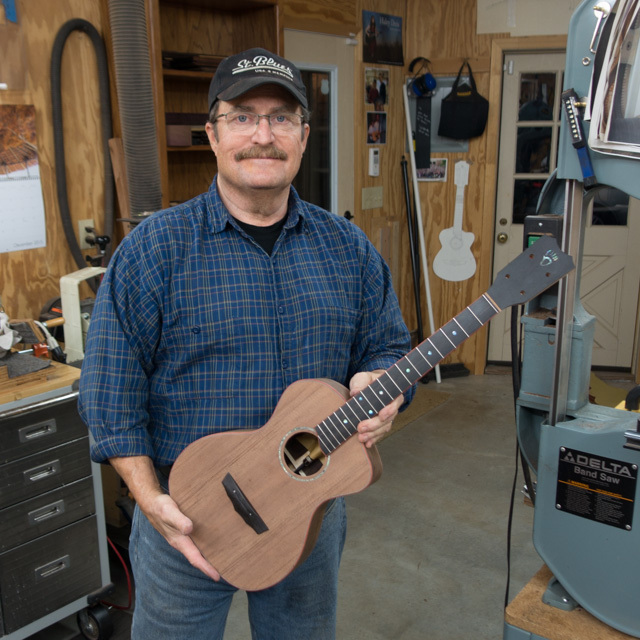 Custom ukulele builder Jay Lichty teaches a limited number of one-on-one ukulele and guitar building workshops throughout the year right in his Tryon, NC shop. In ten short days you will turn a pile of wood into a ukulele that is ready for finish. Jay will apply the finish once the workshop has completed and ship it your way, ready for you to play it. Why choose a Lichty Ukulele Building Workshop? As you work to craft your own uke, Jay will provide as much guidance and support as you need, so that you can build an instrument that you consider to be perfect! 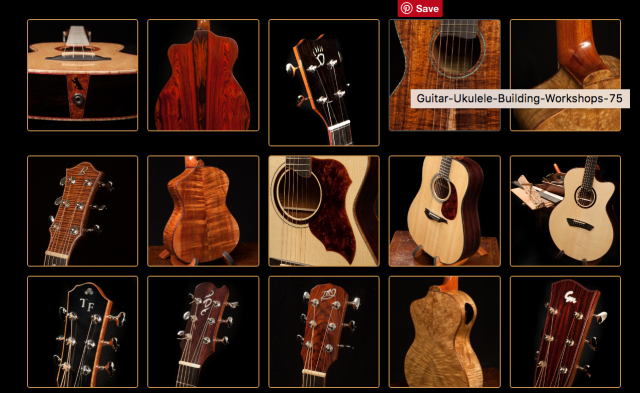 You will also have access to Jay’s collection of premium tonewoods and other ukulele-building materials, as well as his luthier tools. Throughout the entire process, we will make sure you have everything you need for a smooth, successful, and memorable experience. Visit our main Workshops page or contact Jay for more details, including cost and availability. Follow his workshop every step of the way. Read what students have to say. Getting Excited about Building Your Own Ukulele? Please note: Jay is no longer teaching workshops but we do have some recommendations for you. Click here to learn more.